By 2050, countries in Asia, Africa, and Latin America will account for 85% of the world’s population, shifting the center of the global economy from developed to developing nations. As Japan’s population declines, how the Japanese people interact with citizens of the developing world is increasingly a very important question. In this era of change, what is the quality necessary to be a truly global individual? It is the ability to mutually recognize and respect differences in customs and culture. The Alliance Forum Foundation’s Global Human Resources Development Programme, held in Bangladesh, teaches skills to work with people from different backgrounds through engaging in activities of the world’s largest NGO, BRAC. In addition, the Microfinance Professional Course immerses its participants in the real conditions of life in a developing country and microfinance, the effective, poverty-alleviating program. Lastly, while it is essential to learn foreign languages, what is more important is to be able to think deeply and express oneself in the mother language. Always having a “why” mindset – instead of simply following common knowledge and practices – is a trait needed to succeed in a globalized world. Let’s start with what we can do, one step at a time. The Alliance Forum Foundation supports a variety of activities aimed at creating a new core industry for a new era. The central tenet of our vision is that new technologies have the power to change the world. Core industries are the most important driver of economic development. It is only these core industries that possess the inherent power to create new employment opportunities and promote large-scale improvement in social welfare. At the same time, our foundation has begun a number of initiatives with the objective of reducing poverty and improving the quality of life of those living in developing countries through the deployment of next-generation technologies. Our activities seek to accomplish these objectives and affect positive change by helping to make new technologies feasible, nurturing new industries, fostering constructive dialogue on new forms of corporate governance and corporate management, and developing leaders for a new era. 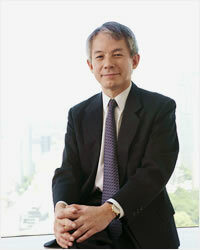 Vice Chairman of the Board, Suntory Holdings, Ltd. Founder and Honorary chairman, Seven &i HLDGS., Ltd.
Former President, Sumitomo Precision Products., Ltd.
Former Senior Corporate Advisor, Nihon Unisys, Ltd.
Chairman and CEO, Rohto Pharmaceuticals Co. Ltd.